Tal y como os adelantábamos ayer, hoy empezamos con una serie de posts desde nuestro nuevo destino, la que será nuestra casa durante los próximos 15 días. We told you yesterday we would start with a series of posts from our new destination, our home for the next 15 days. Os escribimos desde algún lugar de Sudamérica, un lugar precioso, lleno de romanticismo al que aún la temporada alta no ha traído las oleadas de turistas que año tras año llegan a estos parajes. We are writing from somewhere in South America, a gorgeous place, full of romaticism where the usual big groups of tourists that ashore these coasts year after year for the Summer have not arrived yet. 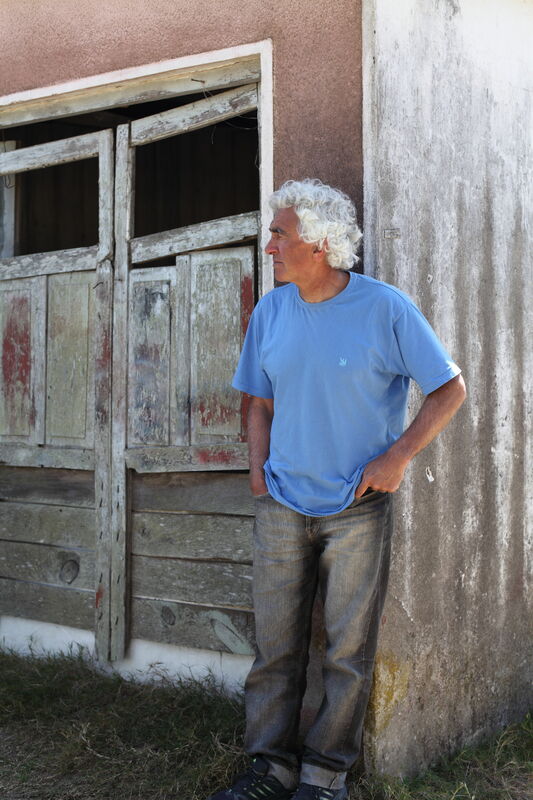 Nada más llegar, nos hemos dirigido a visitar a uno de los personajes más relevantes de la escena surfera local: Willy Barreiro. Surfista, juez ASP y sobre todo shaper durante más de 40 años. As soon as we landed, we headed to visit one of the most relevant characters of the local surfing scenario: Willy Barreiro. Surfer, ASP judge and mostly, shaper for the last 40 years. Willy nos esperaba en su taller, un local lejos de lo que esperamos de un shaping room digno de esta década, pero que guarda todos los secretos y sabiduría de un hombre entregado al surf durante toda su vida. Entre los botes de pigmentos y resinas, los rollos de poliester y blanks de foam aparecen las tablas que le habíamos encargado, las herramientas con las que surfearemos durante este trip y nos da toda una clase magistral de shape artesano, las ventajas del poliester frente al epoxy, un alien llamado Kelly Slater y lo mal que están las cosas en la ASP. Willy was waiting for us at his shop, a place far from the standards of the decade for what a shaping room should be, but it keeps all the secrets and wisdom of a man who has dedicated all his life to surfing. Among the bottles of pigments and resine, polyester rolls and foam blanks he brings us the surfboards we had ordered, the tools we’ll be surfing with during this trip, and he teaches us a master class about shaping craftmanship, pros of polyester vs. epoxy, an alien called Kelly Slater and how crooked things are at the ASP. Este es Willy Barreiro, un excelente tipo. This is Willy Barreiro, an extraordinary guy. This entry was posted on 12 noviembre 2010 at 1:58 and is filed under Nosotros, On The Road. You can follow any responses to this entry through the RSS 2.0 feed. You can leave a response, or trackback from your own site. Espero que todo os salga fenomenal y lo paseis genial! Willy !!! mandame tu email ! !